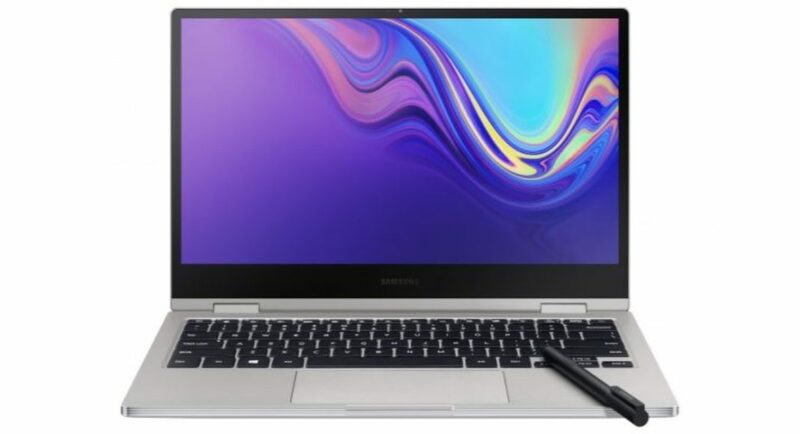 South Korean technology giant Samsung has unveiled this year’s Notebook 9 Pro premium convertible laptop at the ongoing CES 2019. Samsung’s Notebook 9 Pro sports a premium metallic build and is powered by the latest 8th Gen processor that is promised to enhance its performance. The laptop by Samsung comes with an Active Pen that professionals like graphic designers would find useful. The company also announced that the laptop is expected to hit the markets in early 2019. But as of now, there is no word on the pricing of the newly launched device. Samsung Galaxy Notebook 9 Pro laptop has a 13.3-inch display, comes with thin bezels and supports fast charging. The laptop’s power button is mounted on to the side and it comes with a fingerprint sensor embedded in it. The laptop comes with a 13.3-inch Full HD screen and bezels of 6.7mm outline it on all four sides. The laptop is powered by an 8th gen Intel Core i7-8565U processor that is paired with 8GB of RSM and 256GB of PCI NVMe storage. As far as the graphics are concerned, Samsung Galaxy Notebook Pro comes with an integrated Intel UHD 620 GPU. A 55Whr battery that has support for fast charging is also present. It has been claimed by the company that the battery of the device can last up to 14 hours. Samsung Galaxy Notebook 9 Pro comes with dual-channel Gigabit Wi-Fi (802.11ac) for connectivity. Ports on the laptop on the laptop include two Thunderbolt 3 ports, one USB Type-C port and a microSD card slot. A 3.5mm headphone jack is also present. The newly launched Samsung laptop comes with dual 1.5W stereo speakers and comes equipped with Thunder Amp that makes the volume output better than predecessors. The device has a redesigned backlit keyboard and comes with an Active Pen which, according to the company, has more than 4,000 pressure sensitive points. The South Korean technology company also showcased its Notebook Flash laptop at CES 2019. The laptop has a 13.3-inch full-HD display and is powered by an Intel Celeron N4000 or Pentium Silver N5000 processor. Samsung Notebook Flash laptop has 4GB of RAM and 64GB of eMMC storage onboard. The laptop supports dual-channel Gigabit Wi-Fi connectivity and comes with a fingerprint scanner for more security. The laptop’s battery life is said to last around 10 hours. We do know that it will be available in the market in 2019, but there is no word on the pricing details.